"Hosted by Henry Louis Gates, Jr., W.E.B. Du Bois professor of the Humanities and chair of African and African American Studies at Harvard University, AFRICAN AMERICAN LIVES, an unprecedented four-part PBS series, takes Alex Haley's Roots saga to a whole new level through moving stories of personal discovery. 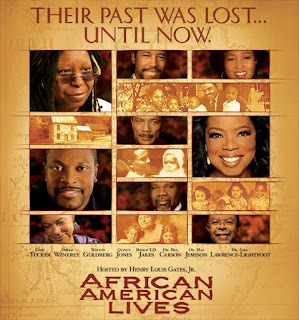 Using genealogy, oral history, family stories and DNA analysis to trace lineage through American history and back to Africa, the series provides a life-changing journey for a diverse group of highly accomplished African Americans: Dr. Ben Carson, Whoopi Goldberg, Bishop T.D. Jakes, Dr. Mae Jemison, Quincy Jones, Dr. Sara Lawrence-Lightfoot, Chris Tucker and Oprah Winfrey. The series works to restore the participants' lineages in reverse chronological order. Starting with the oral histories of the individuals' families, and drawing on photographs, film clips, music and early personal records, Professor Gates begins to trace their family trees back through the 20th century. Noted historians and expert genealogists around America help fill in missing branches, in the process explaining how such major events as Jim Crow segregation and the post-World War I "Great Migration" from the South to the North helped shape African-American families."